If you have ever thought about adding a man cave or a cozy teenage hangout in your home but just don’t have the space, we have the solution for you. Ever thought about remodeling? With a few flooring changes and just the right organization you can add more living space to your home by renovating your garage. Or change it into a few other spaces, too. Did you realize that your garage door is likely the largest entryway to your home? This means it also has great potential for added value and curb appeal. Remember, we did say it is one of the largest pieces of your humble abode. It is a great opportunity for curb appeal, design, security, and functionality. You are likely to find added value with a new garage door. When you bought your house, you knew you would eventually need more storage space. Did that include thinking about building a garage or shed? Or even a carport? You will likely need a permit for that. You need to know every aspect of the Kentucky building regulations, permits, and laws before beginning. Think about all the doors to your home. 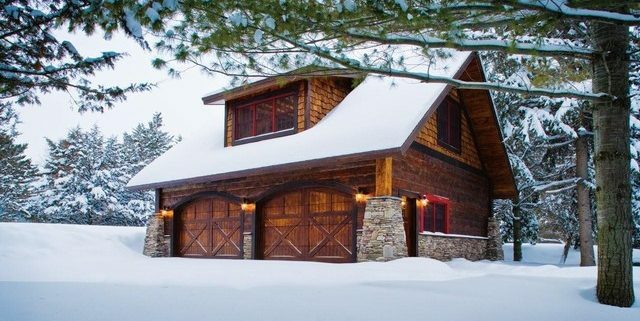 Your garage door is the largest entryway to your humble abode. Picking a garage door is a great opportunity to add to or complement your curb appeal. How do you know what the best options are? Wishing you had the Great Garage Door Buying Guide? Many of us are some sort of enthusiast or hobbyist at heart. We acquire more and more things over the years. We often end up with more stuff than storage space, or we lose some free maneuverable space in the process. If you’ve ever thought to yourself that your garage just doesn’t seem to have enough space or you can’t ever keep it clean, you’re not alone. Especially living in the city even if you’ve been saving money, you may not have the yard space to add on to your garage or build a small shed. Never fear… check out these space saving tips for the inner enthusiast with “too much stuff”.